Giant cliffs, sea stacks and sheltered bays are typical of Unst which is a major breeding ground for a range of seabirds. Gannets, guillemots and kittiwakes can all be seen here. Marine life off the coast includes seals, porpoises and even whales. Unst and Yell hold great appeal for geologists, botanists and birdwatchers. VisitScotland / Paul Tomkins, all rights reserved. Belmont House, & Wick of Belmont, Island of Unst, Shetland VisitScotland / Paul Tomkins, all rights reserved. 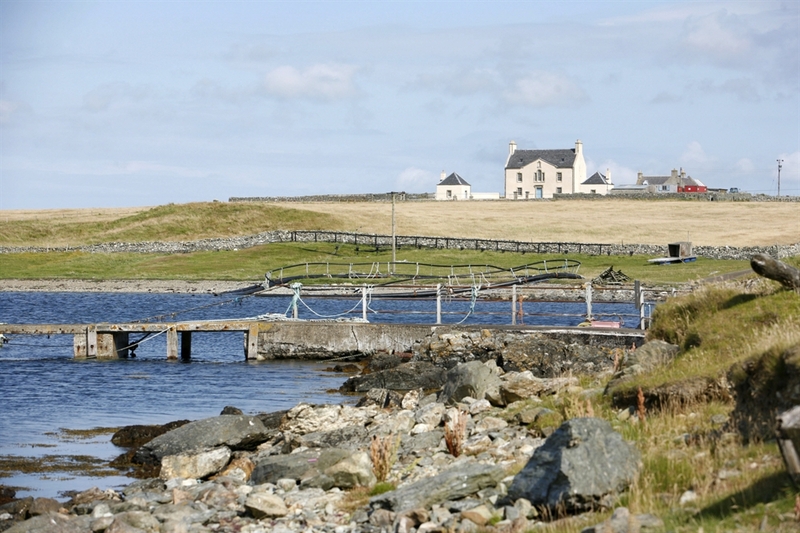 Belmont House, & Wick of Belmont, Island of Unst, Shetland VisitScotland / Paul Tomkins, all rights reserved. 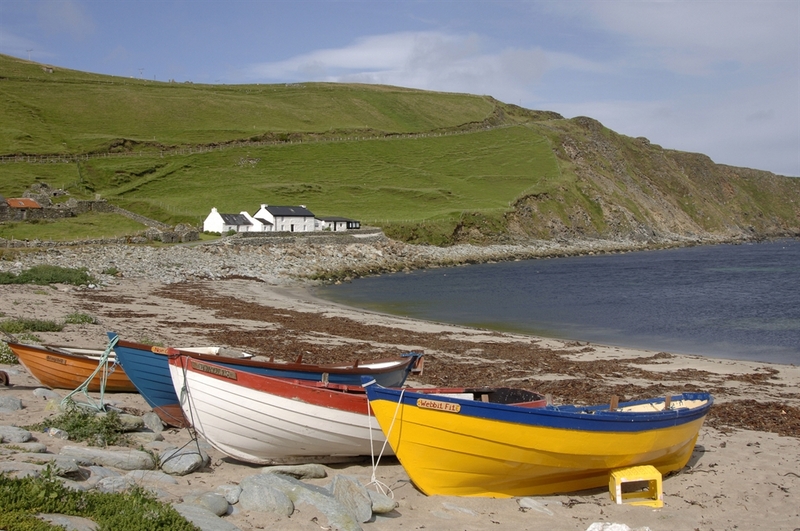 Boats shored on the beach at Norwick on the North East coast of the island of Unst, Shetland. VisitScotland / Paul Tomkins, all rights reserved. The Unst Heritage Centre, Unst, Shetland.